Pop quiz, hot shot! 😉 It’s Saturday night, and your baby has a rash on their belly and a low-grade temp. What is the FIRST thing you do? Well I don’t know about you, but if you’re like myself and the rest of my friends, the answer is C! When you have a concern about your child, you first check in with your mom friends. Why might you ask? Well you see, the doctor is *just* the book expert 😉 and your partner doesn’t freak out enough to make you feel better, but your mom friends? Well they are the ones who appropriately show concern for your child while simultaneously offering all of their first-hand advice from the trenches of experience. And this is precisely why I joke that pacifiers are to babies like mom friends are to moms. They can comfort you, make you smile and pretty much fix every issue you have. (Or at least tell you how they survived it.) So when any new mom asks me for advice in motherhood, I always suggest connecting with other moms. Because motherhood by nature is stressful and confusing at times, and the last thing that is ever helpful is to feel you are going it alone. But where and how to meet these other moms can at times feel daunting, but it doesn’t have to be. I think the most important key to connecting with other moms is to say yes to invitations you receive and make sure to get something in the books. Additionally, don’t assume that just because a person doesn’t seem to have much in common with you means that person wouldn’t be a great mom friend for you. Sure, they may run marathons and you are more into watching rerun marathons at night on the couch, but at the end of the day, you both share arguably the most important aspect of your life in common—motherhood. And you would be surprised how connected you can feel with someone by having nothing else in common but that. So here is my list of the top 8 ways to meet other moms! It doesn’t get much more basic than this. One of the easiest ways to connect with other moms is to search for meet up groups in your area. The best part about this method is that these moms are also intentionally seeking the same thing out that you are—connection with other moms! If you’ve never checked them out, go to www.meetup.com. You can easily find a list of groups in your area. If you’re a Facebooker and a part of any kind of local mommy group or page related to baby wearing, breastfeeding, cloth diapers, or even buy and sell, you can easily put out an open invitation for a playdate and see what mothers might oblige. Depending on how connected you are with the page, you may already feel like you’ve been friends forever. Just virtually. 😉 So why not make it official? If you’ve heard of MOPS, it pretty much goes without saying why I have this method on the list. If you don’t know about it, MOPS is grassroots organization with more than 3,900 MOPS groups meeting across the United States and in 35 countries around the world. MOPS groups meet weekly to celebrate the joys and challenges of motherhood by focusing on a different topic or activity each meeting including things like parenting tips to a craft with kiddos. This is a wonderful way to meet some great friends. If your child is school-age or in any kind of preschool, a great way to connect with the parents of your children’s classmates is through a class list. There are normally email lists of parents that circulate and some of my best friends are the parents of my kids’ friends at school. Obviously inviting the class to a birthday party and connecting with other parents there is an easy start. But if the kids are younger, emailing the class and asking if any of the parents want to meet up at a local indoor kid’s gym is another great way to meet some other moms. Another easy way to make a mom friend while also having fun with your child is to sign your child up for some kind of children’s activity or sport. Dance, swimming, a music class or t-ball are all great ways to form some friendships with other parents because they are naturally there watching their child too. Especially if it’s a parent participation class like swimming. 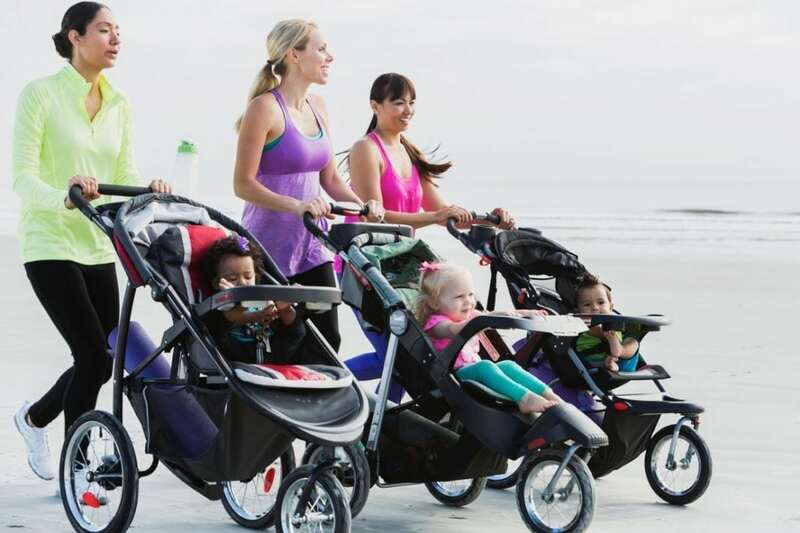 And last but not least, my favorite old-school way to connect with other moms is to get out and about in your neighborhood. Get your kids playing in the yard. If other kids are around, they will surface. And soon enough, their parents will too! This is such a great way to connect because you can easily let kids play and have a neighborhood dinner or cookout. And soon enough, you will be talking about mom things over a glass of wine.